Justice For Kennedy: The Letter - Doesn't Anyone Proofread Anything Anymore? The Letter - Doesn't Anyone Proofread Anything Anymore? Items in orange I corrected, have a problem with, or improved. Enforcement of the JFK Act’s disclosure mandate originally reposed in a five-member panel of citizens, the Assassinations Records Review Board (“ARRB”). Upon the demise of the ARRB, the Act delegated NARA to carry out the ARRB’s provisions “until such a time as the Archivist certifies to the President and to Congress that all assassination records have been made available to the public…” 1. The Act further provides that “all postponed or redacted records shall be reviewed periodically by the originating agency and the Archivist consistent with the recommendations of the Review Board...” 2. Since the expiration of the ARRB, the CIA and NARA have upheld the purpose of the JFK Act and facilitated the public disclosure of many thousands of records. According to a press release on NARA’s JFK Act website, the CIA speeded up its processing of withheld documents through 2010. 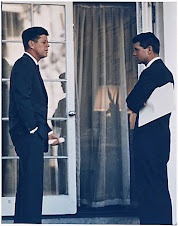 As a result, for example, in 2004, two volumes of the CIA’s Jack Pfeiffer report on the Bay of Pigs were reviewed and released under JFK Act standards. However, at a subsequent public forum the NDC reneged on this commitment. Without providing reasoning or justification under the JFK Act, it now takes the position that the JFK records will not be part of the declassification of historical documents project but will need to wait for further evaluation by the Central Intelligence Agency in 2017. 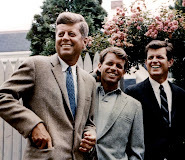 First, while the goal of declassifying the general backlog is highly laudable, NARA has seemingly lost sight of the fact that the JFK Act Collection continues to be of paramount interest to scholars, historians, and the American public. Indeed, we understand that NARA receives as many or more inquires on this Collection than any other discrete subject of historical research at NARA. The American public has maintained that elevated level of interest for almost 50 years. 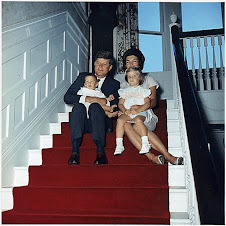 Second, the nature of the public’s interest in the rapid declassification of the JFK assassination records – which warrants giving priority to the disclosure of these records above others – is reflected in many ways. Foremost is the unanimous vote by Congress to mandate that disclosure be given urgent attention. Congress also decreed that these documents be released under perhaps the most liberal and wide-ranging disclosure standards ever enacted. Third, dozens of new books and articles on the subject of the assassination and the concomitant history of the United States continue to appear regularly nearly five decades after President Kennedy’s murder. Knowledge of our history is an essential feature of democratic accountability. The Founding Fathers were profoundly absorbed with the study of historical events and the political lesson to be learned from them. Exemplifying this tenet, NARA’s motto states: “The Past Is Prologue”. But since the advent of the Cold War, knowledge and accountability have been greatly shrouded by pervasive secrecy surrounding the most critical aspects of our governance. This point is forcefully illustrated by what has recently been learned as a result of JFK Act disclosures. For example, we now know that the CIA was confronted with inquires from the House Select Committee on Assassinations (HSCA) about the pre-assassination contacts of alleged assassin Lee Harvey Oswald with the Directorio Revolucionario Estudantil (“DRE” or “Cuban Student Directorate”). Declassified documents show that the DRE was a CIA – “conceived, created and funded” Cuban exile organization in the 1960s. In the late 1970’s the CIA brought a retired CIA officer, George Joannides, out of retirement to act as liaison with HSCA when it sought records from the CIA regarding the Oswald/DRE activities and requested the identity of DRE’s case officer. Neither the CIA nor Joannides ever informed the HSCA that Joannides himself had been the DRE’s case officer at the very time Oswald was in contact with the DRE; and neither the CIA nor Joannides provided the information sought by the Congressional committee. By its actions, the CIA has thus destroyed the integrity off the probe made by Congress, influenced the ARRB which was required by the legislation to use the records of that investigation and cast additional doubt upon itself. It is important that all additional information which bears upon the CIA’s conduct regarding both the congressional investigation and itself be made public as soon as possible so that Mr. Morley and others may continue to research these matters. Moreover, Congress itself may wish to investigate the CIA’s alleged corruption of its inquiry into the Kennedy assassination. 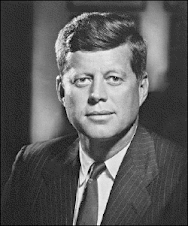 In order for the American public to be fully informed about the type of questions raised by the HSCA Chief Counsel Blakey and ARRB Nelson, the records currently withheld by the CIA should be reviewed and released under JFK Act standards before the 50th anniversary of President Kennedy’s assassination. The Archivist of the United States is authorized and required by the JFK Act to undertake such action. The undersigned respectfully and urgently request that you do so. In view of the need for prompt action on this matter, I would appreciate a response from you at your earliest possible convenience. Rep. Elija Cummings Minority Leader House Oversight and Govt. Reform Committee.